When you have some tried and true recipes for super-quick entrees in your back pocket, you'll never have to call out for pizza again. These quick and easy recipes for all kinds of main dishes will get you out of many a jam. And they're all delicious enough to serve to company. Just keep the ingredients for one or two of these recipes in your pantry, fridge, and freezer. And then be sure to replenish them when you've run through your stock! All you need to complete these recipes is a simple side dish salad and perhaps some toasted garlic bread or a quick biscuit and you'll be sitting down to dinner in minutes.be sitting down to dinner in minutes. Quiche may sound fancy and, well, French, and it is. 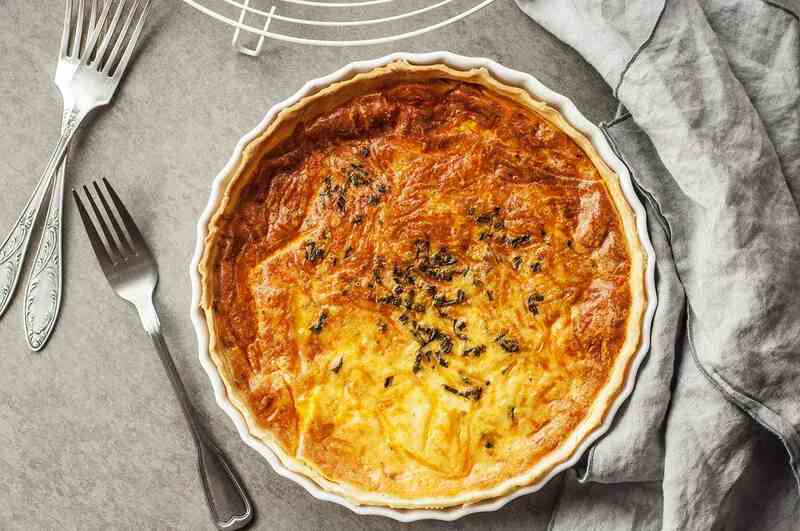 But it's also very easy and quick to make, especially with this easiest cheese quiche recipe. Serve it with a green salad for a classic fast dinner. This quick and easy lemon thyme pork tenderloin recipe would also be great on the grill. Grill it over indirect heat, covered, for 13-1`6 minutes, turning twice during cooking time. And always be sure to let meat rest after it's cooked, so the juices redistribute. This holds true whether the meat was fried, grilled, roasted, or poached. To make this spectacular easy steakhouse-style steak, it's a two-step process. First, the steaks are seared over high heat, then they are roasted in the oven until the desired doneness. The result is the most perfect caramelized crust, and a tender and juicy interior. These tender and juicy honey mustard chicken thighs cook quickly on your stovetop in this super fast and delicious recipe. You'll sit down to a satisfying and inexpensive dinner in about 30 minutes.